Here is your Pisces Horoscope for September 2018. Every month, you will find at WeMystic the astrological forecasts for your zodiac sign. With the culmination of the retrograde phase of Saturn and Pluto in the XI House of Pisces (on September 5 and 29, respectively), tensions within a group of friends will be eased. Maybe you feel isolated or think you have fewer friends than before, but the ties of loyalty with those present, though few, will be long-lasting. As you will see many times, in life, quality is worth more than quantity. For Pisces singles, the entrance of Venus in the IX House of the sign (09/09), the location where Jupiter is also located, will bring the opportunity to undertake a trip (with romantic adventure included), or to establish a relationship with someone of a different culture, (Pay attention to students and the possibility of a new love in the classroom). Couples will enjoy moments of happiness and dedication, thanks to the passage of several celestial bodies through the VII and VIII House of Pisces (Palas, Ceres, Mercury, the Sun). Do not repress yourself in intimate moments and learn to share your deepest feelings with a partner (but don’t play the victim). Finally, the entrance of the asteroid Juno to the IV House of Pisces (on September 29) imposes the recognition of forgotten family commitments. The value of the relationship you have with your parents (especially the mother figure) will be felt as a determining factor, related to the events to come. The Full Moon in Aries on September 24 will impact the II House of Pisces, which marks the perfect time to put your finances in order (analyze pending accounts, credit terms, and other transactions). Even when you will receive the support of your family and couple to overcome any economic mishaps that may arise, you should still establish a spending plan that fits your lifestyle (real). It is worth noting that the income of Ceres, Mercury and the Sun in the VIII House of Pisces (on 06, 21 and 22 September, respectively), speaks of financial opportunities that come into your hands through the inner circle. These possibilities involve the active participation of the family (or your couple), so it is crucial that you can demonstrate a practical spirit and wise management of resources because the common heritage will be at stake. In the workplace, there will be no major changes during September. If you have pending holidays, it is a good time to make them effective and enjoy the rest you deserve. For the sons and daughters of Pisces who remain active in the market, it is an excellent season to work on the design of your own venture, personal brand or creative project that you are passionate about. Studying the different options for monetizing your (non-formal) talents will also take up a lot of your time. Many Pisces will feel called to share their life experiences and to help others. Likewise, the subject will begin to consider a change of professional direction or create a space where their actions can impact a greater number of people. The beginning of the direct phase of Saturn and Pluto in the XI House of Pisces (on September 6 and 30) will encourage this trend, as will the entrance of the asteroid Vesta to the same site (XI House). However, it is important to keep in mind that by being aligned with the vibrations of Saturn and Pluto, you will require a high level of commitment to move your ideas forward. Do not try to cover more than you can at this time; it is preferable to start slowly, with small steps and without forgetting your daily obligations, than throwing yourself behind a whim without evaluating the consequences of your actions. Every project requires a phase of study or conceptualization. For students of Pisces, September will be a promising season, thanks to the entry of Venus in the IX House of the sign (09/09), the position where Jupiter, the planet of expansion, is also located. With these alignments available, you will stand out thanks to your open mind and creative spirit. You will find fun romantic opportunities. In addition, artistic initiatives will receive recognition. Neptune, the ruling planet of Pisces, continues to retrograde in the fish sign. On September 25, it will receive Chiron’s visit, also during its apparent phase of retreat. 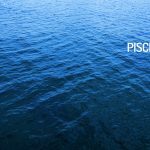 With the available alignments, the natives of Pisces will have at their disposal an excellent period to practice spiritual healing therapies, attend coaching sessions or request professional psychological support. Both Chiron and Neptune retrogrades will emphasize the need to let go of the past, take responsibility for the present and move towards the future. Holding onto old charges will only delay you. If you do not attend to the requirements of your soul, emotional wounds will seek other ways of manifesting themselves (such as psychosomatic illnesses), altering your current plans. If you really want to help others, you must do it from love and not from emptiness. This can only be achieved when you become aware of your needs and cultivate your own value, (not the one that corresponds to an ego shell). In this sense, and despite the nervous imbalance that the retrograde of Uranus can cause in your III House, you must take advantage of the Full Moon’s influence on September 24. The lunar event, which will take place under the influence of Aries, will touch the II House of Pisces and facilitate the recognition of ego traps, negative personality patterns and everything that threatens your personal development.